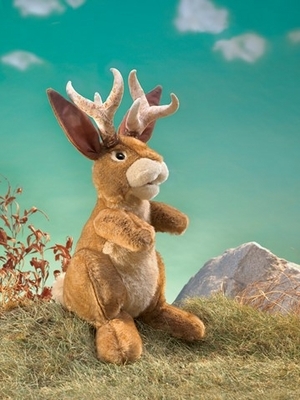 Folkmanis 3117 - A hybrid animal and official mythical creature of Wyoming, the Folkmanis® Jackalope puppet comes to life magically in your hands. 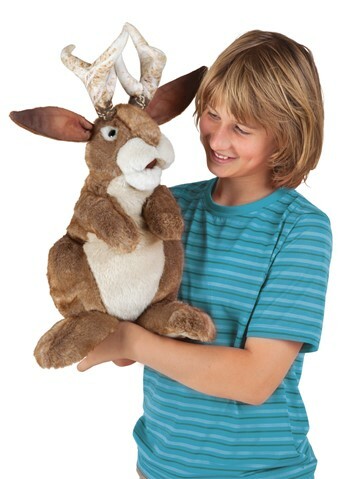 Full of personality, friends will love this chubby cuddle bunny and marvel at its extraordinary rack of horns. Movable mouth and forelegs. Puppet measures 11” long x 14” wide x 20” tall.